IT has advanced significantly, even in the past few years, leaving small and mid-sized businesses reeling from the pressure to remain competitive. Consumers want reliable services, and cybersecurity is more important than ever as hackers target these smaller businesses due to the perception that they have weaker infrastructures and often invest less in cybersecurity. 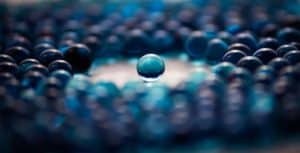 Proper IT leadership involves more than assigning someone in the office to update computers, and if you’ve made the smart decision to invest in managed IT services, then selecting a provider can be a challenge. Before you sign a contract with a managed service provider (MSP), you need to know their business background. Ask pertinent questions regarding the certifications they have, how long they’ve been in business, what they specialize in, and how they have been evaluated by previous clients. IT is a booming industry, and although signing with a start-up may seem tempting, you need to know that they can manage your infrastructure. Your partnership with an IT MSP is more than simply a financial investment; your MSP must promote good business practices that mirror your culture and your values. Any amount of downtime for your business is money lost, whether it’s a system failure or a data breach. An MSP must offer some assurance that your networks will run smoothly, regardless of potential interruptions, providing convenience and peace of mind to both your employees and consumers. How well your business operates will determine your own standing among competitors, and your MSP should be able to guarantee satisfaction. When concerns arise, your MSP should respond in a timely manner. Don’t settle for an IT provider that requires you to submit a ticket and indicates that at least a week will be necessary for the matter to be resolved. Problems occur outside of business hours, and a professional IT MSP will be available at any hour. Understand the after-hour policies of your chosen MSP and make sure that someone will be available to address problems, follow through with permanent solutions, and be available for further questions as necessary. IT is unique in that it is constantly evolving, and your MSP should work with you to ensure that proper advancements are made in your business. You should feel confident in asking for recommendations regarding future projects and innovations that will keep your business at a competitive standing. A professional IT MSP will stay abreast of current and future issues in IT and be able to suggest best practices for your organization. As the client, you should never feel that your IT challenges are yours alone to resolve. A good MSP will work with you until the right solutions for your challenges are found. Trust, courtesy, and respect are essential components in IT because not all news is good news. Your MSP should feel comfortable exchanging information, and as the client, you should trust that they will stand by their word. The ITeam lives by these standards and emphasizes the relationship between the MSP and the client in our own Ten Commandments of doing business. There are many aspects of well-rounded IT service management, and the ITeam strives to meet every need of their clients through proactive planning and execution. Comprehensive services range from remote maintenance services to fully managed cloud hosting services, with limitless benefits for your business. Regardless of whom you choose as an MSP, they should meet all the above qualifications to ensure that your IT needs are fully met.